LC-21 6.0M/ICX694AQG(C) 1“ (14.6x12.8) USB3.0 CMOS Digital Camera adopt Sony ExView HAD CCD sensor as the image capture device. Sony ExView HAD CCD is a CCD that drastically improves light efficiency by including near infrared light region as a basic structure of HAD (Hole-Accumulation-Diode) sensor. USB3.0 is used as the data transfer interface. LC-21 6.0M/ICX694AQG(C) 1“ (14.6x12.8) USB3.0 CMOS Digital Camera’s hardware resolutions is 6M and come with the integrated CNC aluminum alloy compact housing. LC-21 6.0M/ICX694AQG(C) 1“ (14.6x12.8) USB3.0 CMOS Digital Camera come with advanced video & image processing application ImageView; Providing Windows/Linux/ OSX multiple platforms SDK; Native C/C++, C#/VB.NET, DirectShow, Twain Control API. Labomed, Inc. is certified by ISO 9001, has CE Conformity and is FDA Licensed. 8. Native C/C++, C#/VB.NET, DirectShow, Twain Control API. The LC-21 6.0M/ICX694AQG(C) 1“ (14.6x12.8) USB3.0 CMOS Digital Camera can be widely used in bright field, dark field, fluorescent light environment and microscope image capture and analysis with higher frame rate. The LC-20 5.0M/IMX250(C, GS) 2/3” (11.1mm) USB3.0 CMOS Digital Camera (HISPVP) body, made from tough, CNC aluminum alloy, ensures a heavy duty, workhouse solution. The camera is designed with a high quality IR-CUT to protect the camera sensor. No moving parts included. 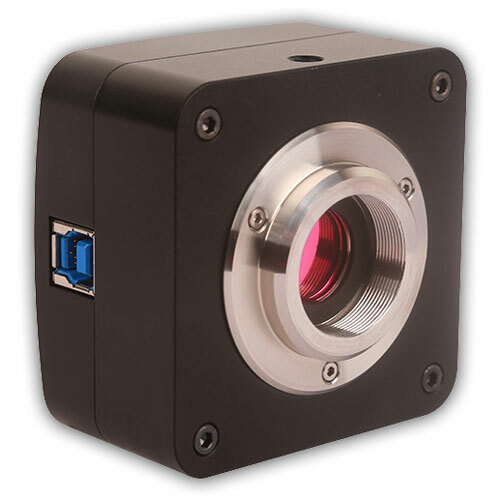 These measures ensure a rugged, robust solution with an increased lifespan when compared to other industrial camera solutions. 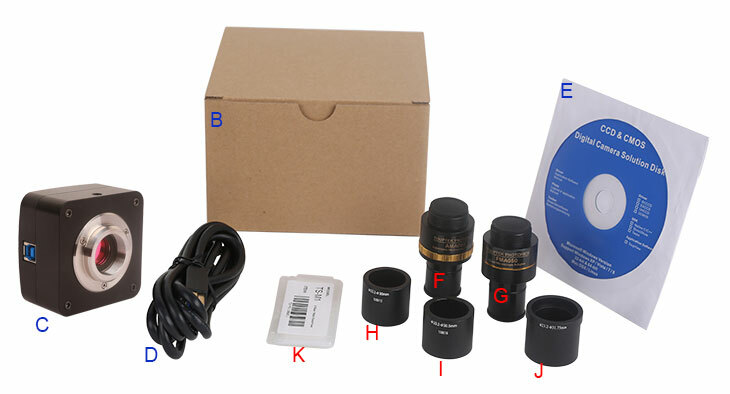 Note: For F and G optional items, please specify your camera type(C-mount, microscope camera) , engineer will help you to determine the right microscope camera adapter for your application.